The School’s post-baccalaureate educational programme leads to 2 state-certified qualifications – Art option: the Bachelor’s degree Diplôme National d’Art (DNA) obtained after three years, and the Master’s degree Diplôme National Supérieur d’Expression Plastique (DNSEP) obtained after five years. The School’s educational programme is compliant with the European framework for higher education and the European Credit Transfer System (ECTS). This ensures perfect alignment with the Europe-wide higher education network. DNA and DNSEP allow students to enter all European universities at a direct equivalent level. The first year of an art school course is a switchover year. It often comprises a break from the learning systems with which students are familiar, and looks towards artistic practices which are built up and discussed. Students have to connect their first artistic intuitions to a critical and personal approach to the world. During this year, students gauge whether they have the aptitude to commit to an art course lasting several years. The programme allows for learning about the essentials, both creative and theoretical, whilst preparing to study. It creates a basis of autonomy with regard to working and thinking. An introduction to techniques and practices: sculpture, photography, video, printing, desktop publishing, live model/figure drawing, cinema, digital arts, painting, etc. The first year invites students to become involved in artistic culture and to discover the approaches and languages implemented in contemporary design. The Programme phase covers Years 2 and 3, leading students to the Diplôme National d’Art (DNA) – Art option. These two years form a single teaching module in which students gradually learn to express themselves critically and artistically and become able to research and experiment independently. Methods, techniques and applications: sculpture, photography, video production and editing, cinema, film criticism, digital art, painting, installation art, etc. In the 30 minutes allotted, students give a spatial presentation of a creative project together with a selection of creative works and a written piece selected from those produced during the 3rd year of the course. Obtaining the DNA qualification is just a requisite requirement (among others for entry to the 4th year). Entry to the Project phase is also dependent on the opinion of the entry Committee during the 2nd cycle. 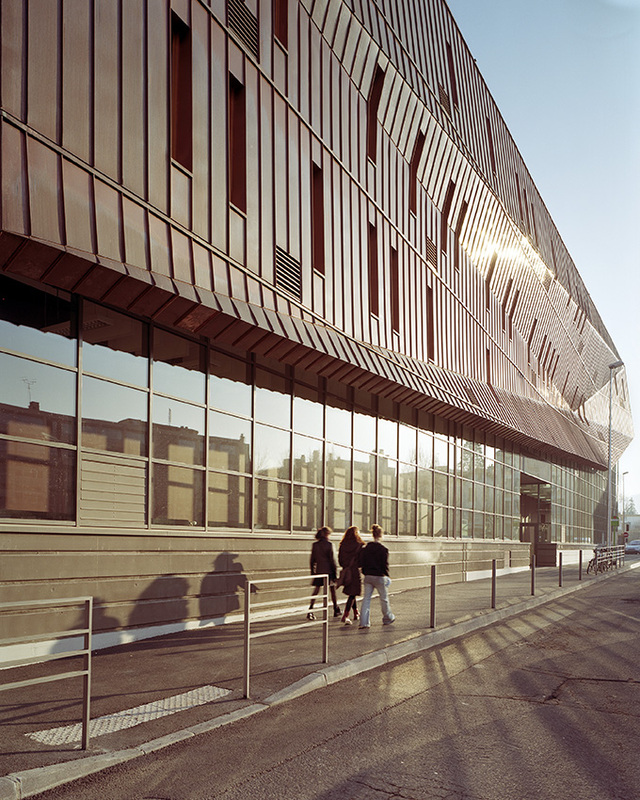 Taken at the end of the third year, the Diplôme National d’Art (DNA) allows students to enter university. The Diplôme National d’Art comprises three tests: an examination of the student’s academic profile and results, a presentation by the student of a selection of significant works done during the three years of studies, an interview with the examining committee. The Project phase covers Years 4 and 5 of the programme, corresponding to the second level of higher education in art, and leads to the Diplôme National Supérieur d’Expression Plastique (DNSEP). Students experiment with the most diverse means of plastic expression. They gain understanding of theory and history and are widely exposed to contemporary issues. This leads each student through the process of creating a personal project expressing his or her vision of the world. During this phase, students follow two parallel paths: one opening onto the outside; the other leading to a deeper level of personal investigation. In Year 4, emphasis is placed on mobility, experimentation, opening out, and research. In Year 5, students are encouraged to refocus their research and develop their personal expression. The shape, order and pace of learning depend on groups and individuals and the opportunities that arise. The essay is presented in 20 minutes to a teacher from the School and one of the qualified artists or art professionals. One of the two assessors must hold a doctorate.